Who are the Iranian Revolutionary Guards and Why has US Labelled it a Terror Organisation? 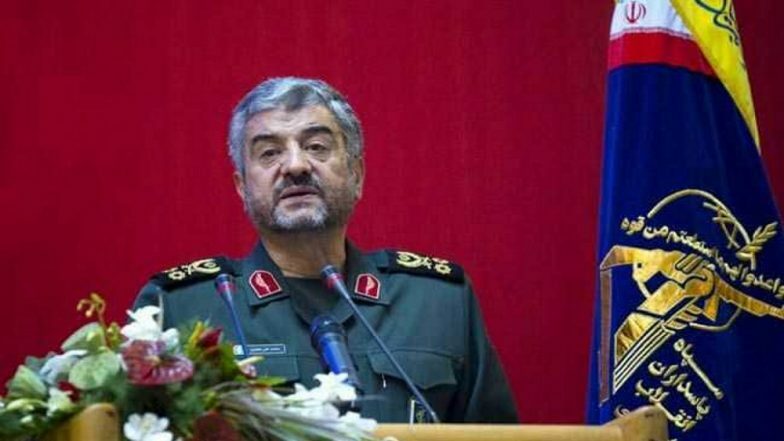 Toronto, April 9: The Trump Administration announced today that it was designating Iran's Islamic Revolutionary Guard Corps (IRGC) as a "foreign terrorist organisation". This is the first time the U.S. has targeted another government’s armed corps in such a manner. The reasoning for the US government’s action lie in the manner in which the IRGC was born and the role it has since come to play in opposing the US’s foreign policy objectives in the Middle East. The Islamic Revolutionary Guard Corps was founded after the Iranian revolution which was led by Ayatollah Khomenei. Iran already had a full-fledged traditional armed forces military but Ayatollah Khomenei introduced constitutional changes that allowed him to raise an armed force that protected the revolution’s Islamic ideals. The Iranian Constitution was amended to allow for both a regular Military (Artesh), to defend Iran's borders, and a separate Guards Corps (Sepah-e Pasdaran) to defend the Islamic system within the country. Iranian law defines the IRGC as “an institution commanded by the Supreme Leader whose purpose is to protect the Islamic Revolution of Iran and its accomplishments, while striving continuously . . . to spread the sovereignty of God’s law.” The IRGC answers and is loyal to Iran’s clerical elite. Since its inception in 1979, the IRGC has expanded and now boasts of more than 1,50,000 active personnel serving for it. It has also created separate divisions of ground forces, navy and air force. It has set up an elite force called the Quds (Jerusalem) force that has been used to enforce Iran’s foreign policy objectives in Syria, Iraq and Lebanon. The IRGC’s role now overlaps with Iran’s traditional military as it conducts anti-terror operations and its navy patrols the Gulf of Hormuz. The IRGC’s Quds forces have played a significant role in Iraq and Syria in supporting the fight against Islamic State. But in Syria the Quds Forces have also supported Syrian President Bashar al-Assad in fighting of the rebel forces and maintaining his grip over the war-torn country. In Iraq, the Quds Forces are reported to have helped created a Shia-dominated paramilitary force that helped defeat IS. In both these countries, the Quds Forces have worked to reduce American influence and expand Iranian influence in the region. The Quds Force is also accused of having links and supporting terrorist organisations like Hamas and Hezbollah that have attacked Israel and other Western assets. In 2007, the US Treasury Department designated the Quds Force as a supporter of "terrorism," describing it as Iran's "primary arm for executing its policy of supporting terrorist and insurgent groups." But the IRGC’s growing role in the Middle East from Iraq to Syria to Yemen, which is in direct opposition to American interests seems to have led the Trump Administration, which has already shown its hostility towards the Iranian government, to designate it as a terror organisation in order to bring to bear more pressure on Tehran.